“For centuries, gold was measured in “tola” but the advent of metric system overtook this historical association – nowadays, you read daily about the change in price per gram ! Last week, Silver prices were up by Rs 59 to trade at Rs 41,625 per kg in futures trading as participants indulged in enlarging positions amid a firm trend in precious metals overseas. In futures trading, silver for delivery in May was up by Rs 598, or 0.14 percent, at Rs 41,625 per kg at the Multi Commodity Exchange, in a business turnover of 58 lots. It is not Gold and silver alone, the number of rigs drilling for natural gas in the United States fell by 1 this week to 87, data from oil services firm Baker Hughes showed on Friday. Saudi Arabia's oil output will edge up close to record highs in coming weeks to meet summer demand for power but is unlikely to be pushed to the limit and flood global markets, Saudi-based industry sources said. As you open the newspapers today, you see more advertisements, there would be more milling crowds at T Nagar : – crowds and TNagar – strongly bonded. Many jewellers would add spice with famous and little known stars of tinseldom – while there is many meme on a clan of a famous shop appearing in the advts – to me, the ridiculing is meaningless. Beauty lies in the eye of beholder – in an age, where everyone indulges in selfie, what is wrong in self-promotion of the son of the visionary owner who sort of changed the name of TNagar to read as ‘Saraavana stores’ everywhere. Today, the All India Gems & Jewellery Trade Federation (GJF) expects good growth in sales across India on Akshaya Tritiya, , due to the ongoing wedding season. 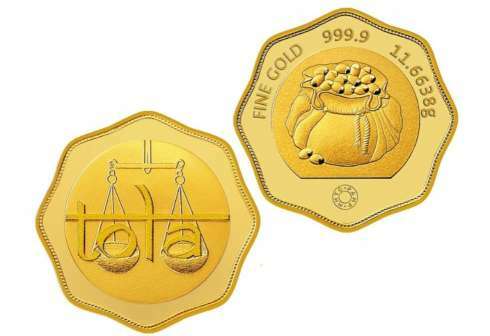 MMTC Pamp on Friday launched new gold coin ‘Tola’ of 11.6639 grams and said it would mint 0.5 million pieces of these coins in the current fiscal ahead of Akshaya Tritiya festival to be celebrated on May 9. 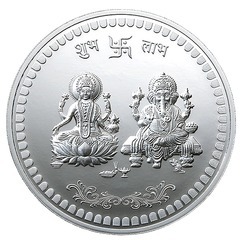 The company already mints different designs of gold and silver coins. MMTC-Pamp also has plans to launch half and quarter ‘Tola’ gold coins in the coming months. The ‘Tola’ is an octagonal shaped coin with distinctive knurled edges and an intricate finish with 999.9 pure gold. Akshaya Tritiya is one of the most auspicious days in the Hindu calendar and is considered ideal for new beginning and investment. One of the most important legends associated with observing Akshaya Trithiya is that of Lord Krishna and Kuchela. Another significant mythology is that of the Pandavas receiving the Akshay Patra from Krishna. Now they are associating it with Parasurama too. The auspicious occasion of Akshaya Tritiya marks great spurt in gold jewellery sales. The yellow metal has always had its share of symbolic value – rich invest in it; everybody wears and flaunts them. Does it hae medicinal property too ? in my younger days, people used to talk that MGR is shining because he takes ‘thanga paspam’- thought to be a potion containing some Gold; whether it was Gold ash or some other herbs taken as ‘kaya kalpam’ one would never know ! In Siddha and Ayurveda, people say gold is an excellent source of medication ! The yellow metal is believed to be a rejuvenator !! * if you do charity, you will be blessed and the blessings will increase manifold. * Any venture initiated on the auspicious day would grow and bring in prosperity. * It is most beneficial for performing meritorious (Punya Karma) deeds such as recitations (Japa), penance (Tapa), and other spiritual activities. * A good day to start education and read more. * Resolve to take up the education expenses of a deserving, needy child. * resolve to give up a bad habit – smoking, drinking etc. * resolve to start a good habit – learn and practise Yoga. * If you are residing in another place, call on your parents and old aged relatives seeking their blessing. Happy Akshaya Trithiya ~ plan it to be a Good day for Self & family, rather than for the trader alone. SilverGoldBull is your reputable bullion dealer. You will be provided with reasonable, live pricing and guarantee your precious metals are delivered to your door discreetly and fully insured.